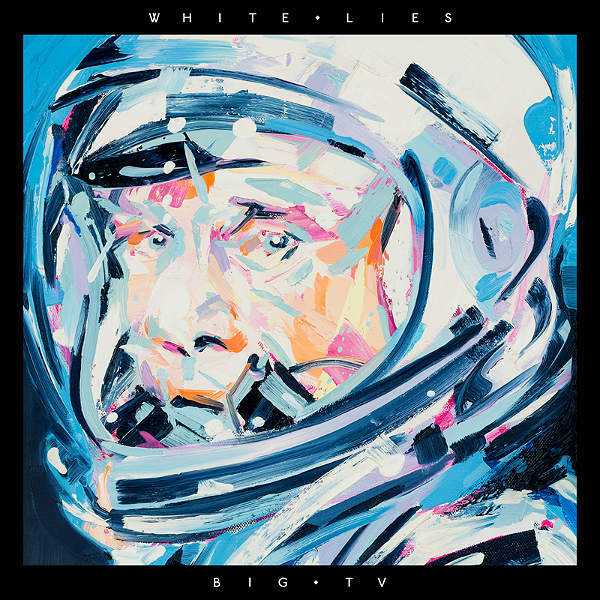 London indie rock band White Lies have just released their latest album Big TV, this past week! The album is another example of how this band continues on delivering their powerful post-punk sound! Not only is their sound so powerful in their strong usage of synthesizer, percussion, and guitar; but also in lead singer Harry McVeigh’s haunting and overpowering vocals! Big TV has a heavy influence of new wave and hard rock combined so perfectly into one style. The album pertains mostly about love and loss, in the sense of someone obsessing over a female. Songs like “Be Your Man” and “Getting Even” especially talk about that chaotic feeling of wanting to be with this female more than anything, (heard in “Be Your Man”) and yet at the same time hating this woman and wanting to teach her a lesson for breaking his heart, (heard in “Getting Even”). “Tricky to Love” and “Change” are songs that speak more in the hopelessness someone might feel when they have recently ended a relationship and wonder if maybe they have a problem with accepting love or providing love to another person. With lyrics like “…my love changes with the weather and my heart, red imitation leather. I’d give the world, but the world is not enough for a girl with it all, I guess I’m just tricky to love…” and “…if you need to find yourself in the arms of someone else, I wish you on your way but my love, I’ve never been to good a change.” The album also has two short intermission instrumental tracks that play inbetween songs, and are about a minute long each. The two tracks are labeled “Space I” and “Space II,” both of which provide an eerie building up tune, that gives off the idea that something bad is going to happen in the album. These intermission tracks add to the chaotic love/hate relationship the singer is feeling towards love in general. Overall the album is on point in every aspect, from instrumentals to vocals and of course in meaning. Anyone who has ever had feelings for another can relate to this album with one of its many tracks. Fans of Franz Ferdinand, The Strokes, and Interpol, should give Big TV a listen to! Big TV was released on August 12th, 2013. Check out the music video for their new track “There Goes Our Love Again” here!